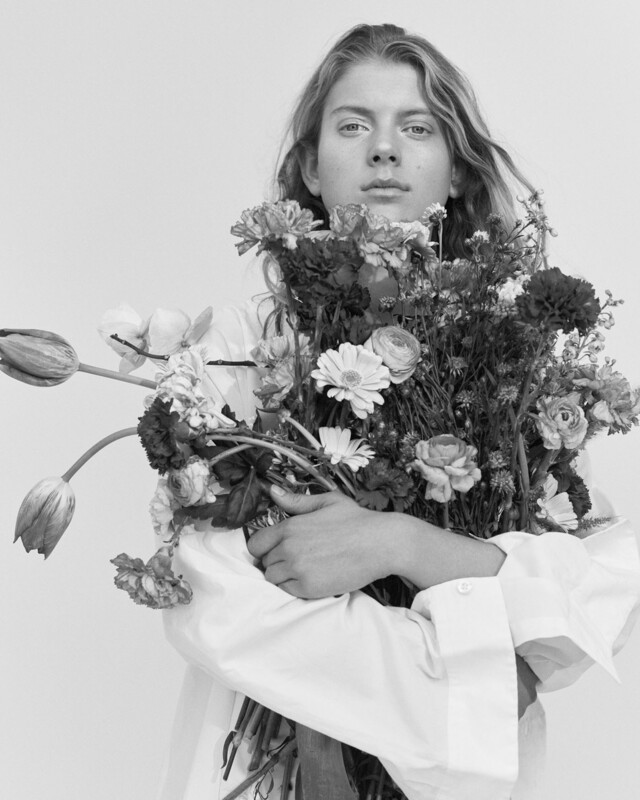 Floral hug photographed by Philip Messmann for Styleby Spring 2018 issue. Cashmere and silk hug by Faliero Sarti. I consider myself a scarf lady. I almost always have a scarf with me. It is for comfort, you know. Something lovely to wrap around your shoulders, or to use as a blanket. 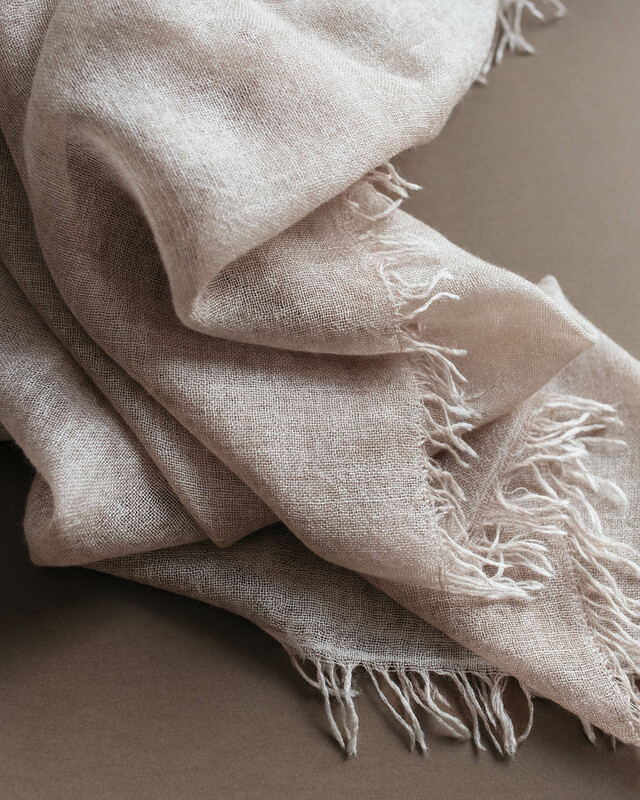 I do not have many scarfs but I do have a couple of special ones, such as the sweater shawl by Lemaire, and this powdery pink one by Faliero Sarti. Measuring 170cm x 170cm, it is light as feather and made of the finest cashmere and silk. I fold the square once to make a rectangle wear it on my shoulders over a turtleneck, like a cape or pashmina style.